Calligraphy is a bit of a hobby for me, but it’s connected to my research too (I imagine that’s kind of obvious). I really like teaching my students how to cut a quill pen and write with it, because it reveals to them how focused and dilligent medieval scribes must have been to write manuscripts. 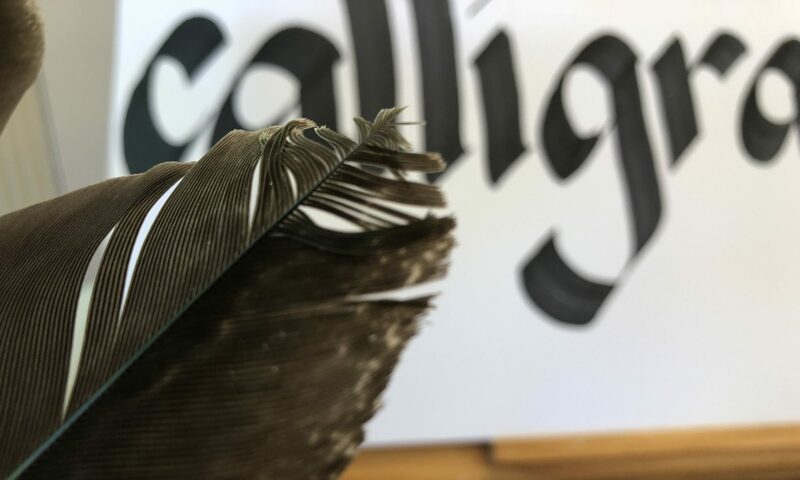 Students really appreciate medieval texts in a new way after having a go at writing with a quill.